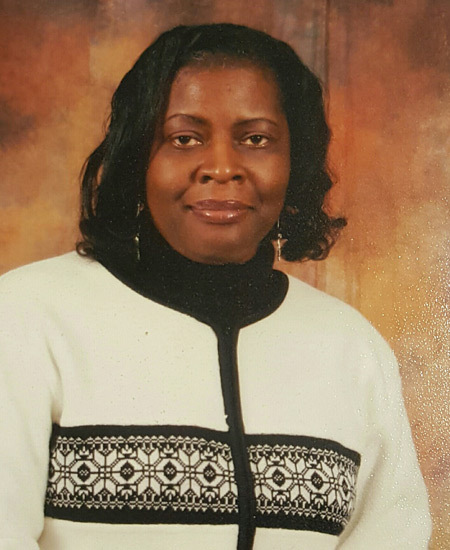 Cassandra Morris retired from The Alabama Department of Human Resources as a Family Support Worker. She also worked as a Title Examiner at the Alabama Department of Revenue where, among other responsibilities, she was charged with reviewing motor vehicle titles and maintaining vehicle registrations. Cassandra also worked for the Kilby State Correctional Facility and the Central Alabama Aging Consortium as a case manager. Prior to working for the state, she retired from the Bank of Prattville after seventeen years, where she held positions of increasing responsibility. Active in her community, Cassandra also serves as payroll clerk and secretary at the Mount Sinai Missionary Baptist Church, Inc., (a post she has held since 1979); and as a member of the individual and family support council of Wetumpka, Alabama; the Christmas Clearing House; the American Red Cross of Central Alabama; and the One Place Family Justice Center. Cassandra is a graduate of the University of Montevallo, from which she earned a bachelor’s degree in business administration, and she holds professional certificates from the Alabama Department of Senior Service, the Alliance of Information & Referral Specialist for Aging, and from the continuing education department of Auburn University Montgomery, Alabama (Alabama American Banking Institute of Banking Basic and Standard Certifications).